Dr. N. LeRoy “Lee” Lapp ’56, a pioneer in the study of lung diseases in West Virginia coal miners, passed away July 16, 2018, in Morgantown, West Virginia, at the age of 86. He graduated from Eastern Mennonite College in 1956 with a major in pre-medicine and minor in sociology. In a 1990s-era Bulletin article, Lapp shared that he took science courses with professors Daniel Suter and D. Ralph Hostetter, as well as physics courses with M.T. Brackbill and Bible with C.K. Lehman. He added a sociology minor, taking courses mainly with Professor Paul Peachey, which contributed to his understanding of social issues. Small class sizes and collegial professors helped to contribute to his scholarly foundation, he said. Lapp was elected president of his senior class. His future wife Catherine Alger ’56, a Broadway native, was secretary. The couple married after graduation and enjoyed 58 years together. Lapp went to medical school at Temple University and completed a residency in pulmonary medicine at the Mayo clinic. Lapp came to Morgantown in 1966 to join the new Appalachian Laboratory for Occupational Respiratory Diseases (ALFORD), a precursor to NIOSH. There he performed research on the mechanisms of occupational dust-related lung diseases. His work was instrumental in the development of guidelines related to the diagnosis as well as federal regulations impacting mining practice and compensation of workers. This research led to several international collaborations in France, Germany, England and the former Yugoslavia. In 1984, he was a consultant to similar medical research being conducted in the United Kingdom. He was also a Fogarty Visiting Scholar at the National Institute of Medical Research in France. As an expert in chest x-ray interpretation recognized by the American College of Radiology, he was a highly sought expert for legal cases related to occupational lung disease compensation. 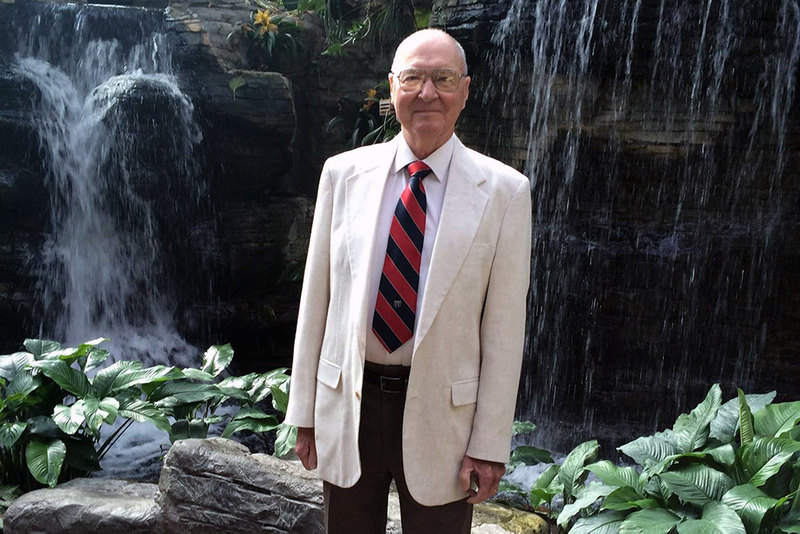 He was the first physician in West Virginia to use lasers to treat lung tumors. Joining the West Virginia University faculty full-time in 1975, Lapp was member and chief of pulmonary and critical care medicine until his retirement as full professor in 1995. Throughout his nearly 30 years as a physician, he cared for many patients and led the development of critical care medicine at WVU Hospitals. He taught thousands of medical students, physical therapy students, interns, residents and colleagues, not only how to diagnose and treat lung diseases, but also how to care for people with compassion and love. He was greatly admired for his ability to be a calm and loving presence in times ofcrisis and pain. In 1994, WVU honored him with the N. LeRoy Lapp Professorship in Pulmonary and Critical Care Medicine. Following his retirement in 1995, he remained active with the School of Medicine, serving on the admissions committee, teaching, and faithfully attending weekly grand rounds. His long-time professional service was recognized by the American Lung Association as the Outstanding Clinician in 2004. Lapp was also a member of the Mennonite Medical Association and served as president of that organization for one term. In 2006, he and his wife established the N. LeRoy and Catherine A. Lapp Scholarship Fund to recognize the financial assistance LeRoy received to allow him to attend EMU and for he and his wife to financially assist future students. He is survived by brother Gordon Lapp of Philadelphia, son Thomas (Christine) Lapp of Chadds Ford, PA, daughter Anne (Kevin) Swisher of Morgantown, grandchildren Melanie Swisher and Geoffrey Swisher. In addition to his parents Norman B. Lapp and Mabel Wismer Lapp, he was preceded in death by his wife Catherine Alger Lapp, brothers Stanley Lapp and Marvin Lapp, and sisters Margaret (Lapp) Reimer and Esther (Lapp) Kempf. A Celebration of Life service will be Saturday, July 21, at 1 p.m. at Suncrest United Methodist Church in Morgantown, West Virginia. In lieu of flowers, the family requests donations to the N. LeRoy and Catherine A. Lapp Scholarship Fund through Eastern Mennonite University; the N. LeRoy Lapp Professorship in Pulmonary and Critical Care Medicine via the WVU Foundation, P.O. Box 1650, Morgantown, WV 26507; or to Respite Care at Suncrest United Methodist Church, 479 Van Voorhis Rd, Morgantown, WV 26505. Portions of this text were contributed by his family. Click here to read the full obituary and offer online condolences. Remembrances posted below will be passed on to the family.